I’ve got another great Pattern Anthology post for you today. The minute I saw the Gwen Pattern I knew I had to sew it up. The pattern comes with a million options to customize and really make it your own. But.. I went as boring as you could go. 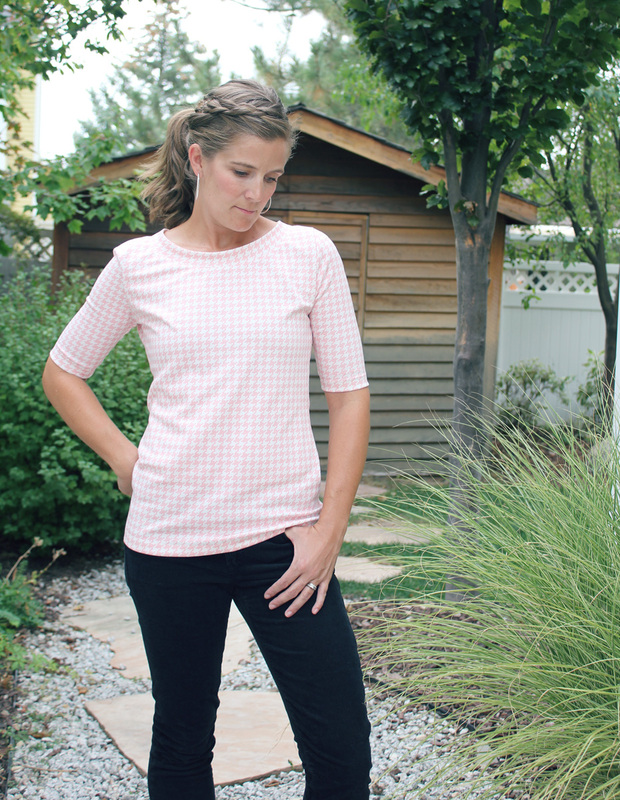 No frills, no touches of contrast, no button placket, just a simple basic top. And I love it!!! 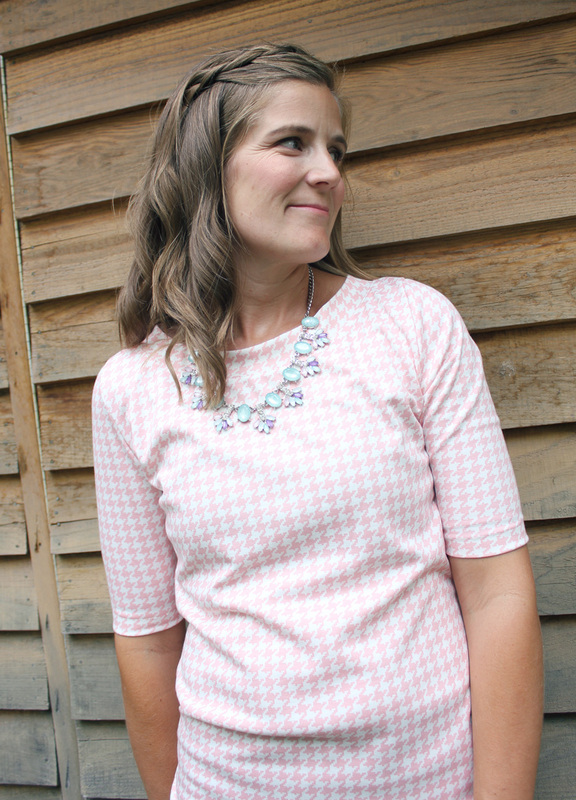 One of my go-to t-shirt patterns is See Kate Sew’s Neptune Tee. I usually make it plain and simple but it’s got a great shape and I love the way it fits my body. For my first Gwen I wanted to see how it would fit and I knew an easy tee would fit perfectly in my wardrobe. 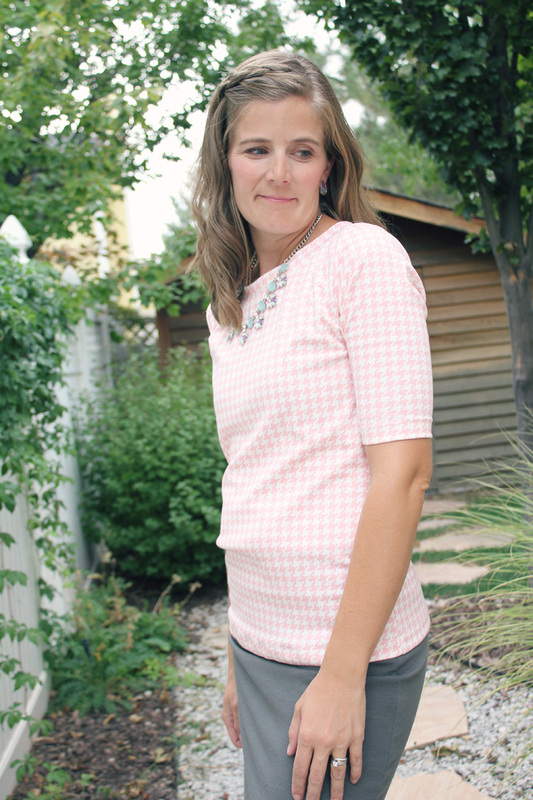 I used a gorgeous pink houndstooth ponte that I picked up in LA. I love that I can dress it up with a simple skirt or throw it on with a pair of jeans. I’m excited to add some bells and whistles to my next one. I’m also thrilled to use the bonus pencil skirt pattern that it comes with. Options, options, options… Kate is speaking my language! This is your last week to pick up the Pattern Anthology Unbiased Collection for $29.95. Hurry, you don’t want to miss this amazing offer!